That's right, dogs love classic rock - it's a fact that is now backed by some seriously scientific minds. The last time you were getting down to Jimi Hendrix's "All Along the Watchtower" or Aerosmith's "Sweet Emotion," did you happen to take a look at your dog? If you didn't, you may not have seen him jamming out right along with you. That's right, dogs love classic rock - it's a fact that is now backed by some seriously scientific minds. You may remember reading in the post, "What Kind of Music do Dogs Like Best?" that explained more about the musical studies done at the University of Glasgow. 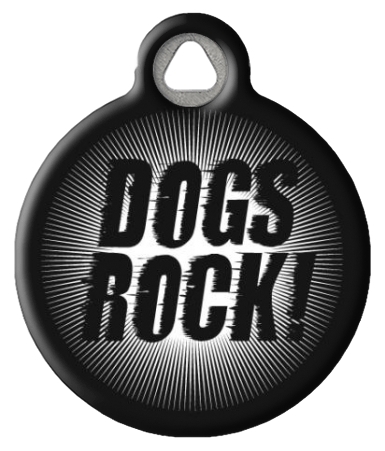 In a nutshell, those researchers used doggie heart rates as an indicator and discovered that dogs just love reggae and, you guessed it, classic rock. 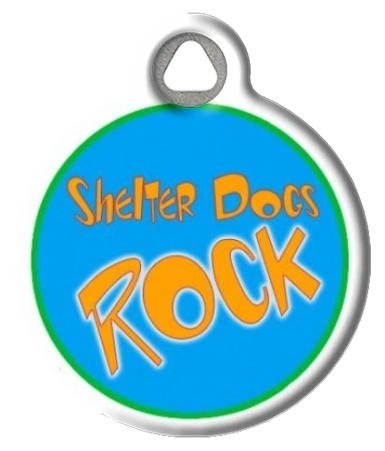 They found that those two genres significantly reduced stress levels in the dogs. Some dogs even started barking when researchers turned off the tunes, so we're guessing they were asking for more. If you still aren't convinced, try playing "I Shot the Sheriff" for your dog. It's a perfect test run song with its mix of classic rock riffs and reggae beats. See if he doesn't love it. Now, we aren't saying every dog on earth loves classic rock. 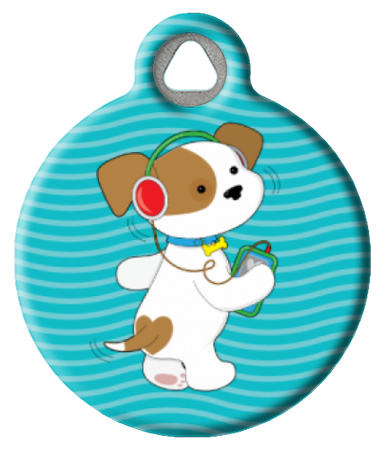 The study also showed that dogs, like people, each seem to have their own musical preferences. So if "I Shot the Sheriff" doesn't seem to tickle your dog's fancy, he might be some kind of doggy hipster who detests following the crowd and prefers some underground alternative tunes. Or maybe he's just not into Eric Clapton. One thing is for sure - as you put together your dog's new Spotify classic rock playlist, steer clear of heavy metal. The studies showed that dogs felt agitated and uncomfortable when listening to heavier rock music. Sorry, Metallica. So next time you feel the need to rock out to some classic rock, don't forget to include your dog. 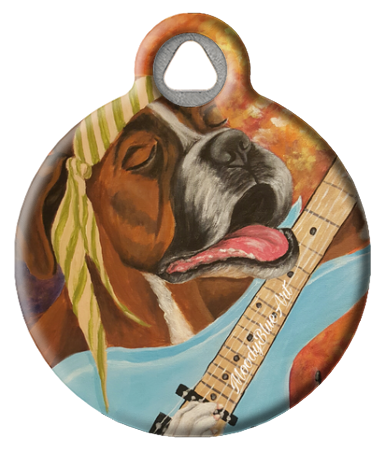 Because you never know, your dog might be singing "Hey Bulldog" right along with you and The Beatles when you aren't looking...well, at least to the barking and howling bits. 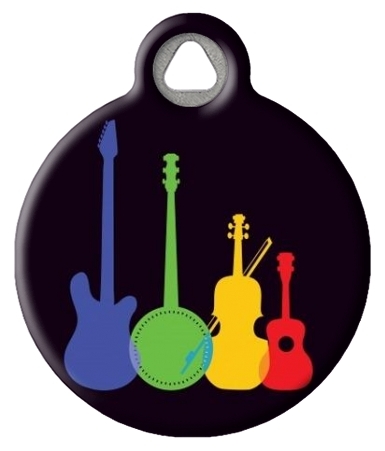 Stay current with the Dog Tag Art Blog! 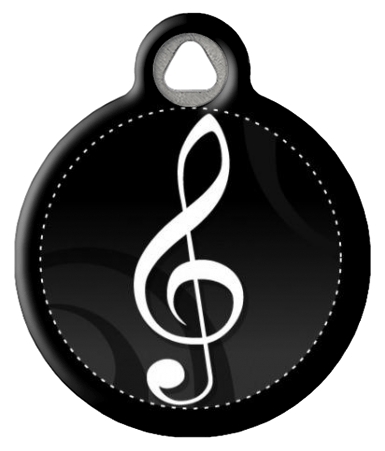 Checkout these pet tag designs!